Please welcome our new Executive Director, Mr. Paul Gavin! 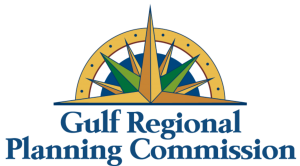 After a nationwide search, the Gulf Regional Planning Commission Board of Commissioners have selected Mr. Paul Gavin as our next Executive Director. Paul’s background in transportation systems analysis, and in the planning and management of inter-modal highway, rail and maritime projects will strengthen the position of our agency and member jurisdictions seeking development opportunities. His vision for GRPC is to closely coordinate our current transportation and community planning activities with regional freight, maritime and economic development efforts. 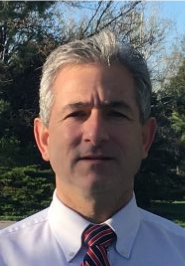 After earning a Bachelor of Science degree in Marine Transportation and a U.S. Coast Guard License from the United States Merchant Marine Academy and serving in the Gulf War as a Merchant Marine Officer, Paul completed the Masters of Business Administration Degree (MBA) in Accounting and Finance at St. Bonaventure University. He served as a reserve officer in the U.S. Navy and has earned his way to the rank of Lieutenant Commander. Mr. Gavin is returning to the Gulf Coast with his wife, Susan, and two children, Nathaniel and Jayne. Prior to working with the New York and Nebraska DOT’s, Paul was the Harbormaster and then the Manager of Legislative Affairs and Projects at the Port of Pascagoula. In 2000, for his efforts at the Port, he was named to the International Who’s Who in Public Administration. He is looking forward to returning to the Gulf Coast and we are excited to welcome him to the GRPC and the MS Gulf coast community we serve. Paul will officially begin his new role as Executive Director on May 16th, 2018.